Some older condos in South Florida communities built around country clubs are selling for as little as $1. Stephan Burklin, for example, recently cut the asking price for a one-bedroom condo at Boca West Country Club from $10,000 to $1. Burklin also is offering to pay the buyer’s homeowners association fees for the first year. His mother and father lived there, but she died and he is moving to an assisted living facility, and the condo is too small for Burklin, 51, who is married and has three kids. Many owners bought condos in country club communities when they were built during the 1970s and 1980s in such South Florida cities as Boca Raton, Boynton Beach and Delray Beach. As owners age and move to senior living facilities, their heirs often are unwilling to occupy their vacant condos because they don’t want to relocate or pay the pricey membership fees that country club communities charge. Buyers of condos in most country club communities in South Florida can expect to pay a membership fee ranging from around $40,000 to more than $100,000. But some sellers are making the country club lifestyle more affordable by asking five-figure prices – or less – for condos in communities where newer or renovated residences have six-figure asking prices. In February, a new condo building opened at Boca West with unit prices starting at $1 million and ranging as high as $4.5 million. Boca West features four golf courses, seven restaurants and a $50 million clubhouse, plus shows by such performers as Jay Leno and Diana Ross. Country club condos that sell for less than $100,000 are a bargain in Palm Beach County, where the median sale price of a condo increased to $589,130 in the fourth quarter of 2018, up 16.5 percent from the same period in 2017, according to Douglas Elliman. Professional golfer Jonathan Margolies, 41, paid $2,000 for a condo at Hunters Run, a country club community in Boynton Beach, and resold it for $80,000. 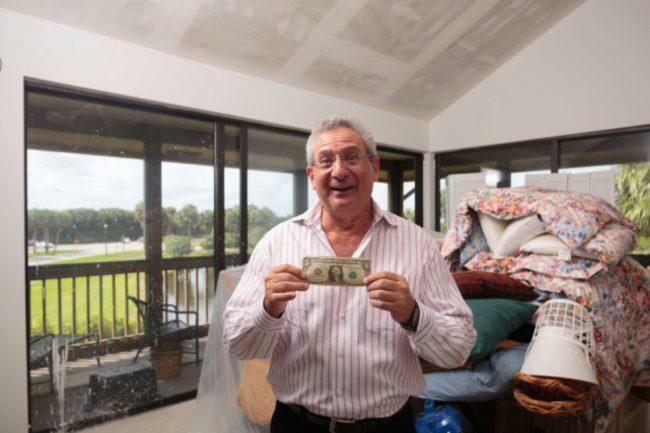 Then he paid $14,000 for an 1,800-square-foot condo after the previous owners spent $100,000 renovating it before moving to a larger home. Margolies relocated there from Greenwich, Connecticut, in 2018.